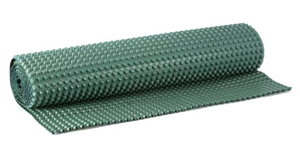 High-density polyethylene (HDPE) nodular sheets for drainage of walls & floor's, waterproofing and mechanical protection. It protects the waterproofing membrane against external aggression. 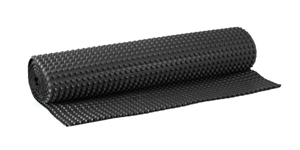 It guarantees a long-lasting draining capacity of the system thanks to the geotextile seized to the nodules. DANODREN H PLUS complies with the CE marking. Danodren jardin, is a HDPE nodular sheet with polypropylene geotextile, which complies with the CE marketing for horizontal drainage of green areas, and as a waterproofing membrane's protection. It reduces the hydrostatic pressure on the green roof. It drains away excess water from soil and thus avoids water-logging.